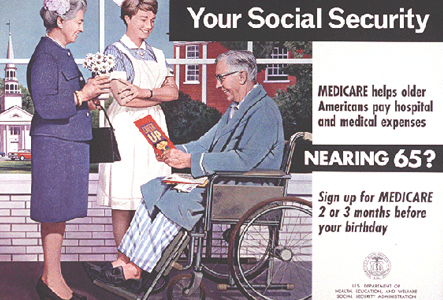 1950's, 60's & 70's players are already on Medicare. A lack of appropriate health insurance plans for retired NFL players, increased awareness of brain damage, and a larger pool of players reaching Medicare eligibility could create a serious cost burden for the U.S. As the NFL team owners continue to lobby congress and work on individual states to free themselves and their insurance companies from the responsibility of paying for the care of longterm injuries, who will pay the eventual cost? Based on the current California Workers Comp fight (AB 1309) and the widespread concussion litigation, the NFL owners seem committed to a plan of distancing themselves from responsibility for any injuries or illnesses that may not be easily diagnosed or obvious at the time of injury. The better the NFL team owners and their lawyers are at negotiating time-limits for claims and benefit maximums and the approval of arbitration and NFL-friendly medical boards, the less cash they’ll ever have to payout to care for players’ longterm injuries. Players from the 1950’s, 60’s and 70’s have reached or are reaching Medicare age, so for these players tax money will be increasingly diverted to pay for the bulk of their healthcare (about 80% without their supplemental plan, if they have one). As awareness of brain injuries grows and possible cures or therapies or medications are developed, the majority of these costs too will be covered by Medicare. So for the bulk of retired players healthcare costs, the owners only ever need to be concerned with the player’s health from the time of football retirement until they are 65. In reality though, the owners and their insurance companies are responsible for very little of a player’s health after retirement. Post retirement (or getting cut or waived) healthcare plans are not available to all players. And most plans expire after 5 years. Based on an average NFL career being only 3 seasons long and players beginning their career at 23 years old, this would leave the majority of NFL retired players with no NFL related health insurance by the time they are say, 33 years old. Let’s just make it 35 to be safe. So, at 35 year old, most ex-NFL players have no league health insurance, but do they have any injuries or illnesses associated with their brief, but very violent career. So much emphasis and exposure is put on that brief time in the limelight, yet the time in the shadows after retirement is so much longer with so little support. They NFL and the NFLPA have been very successful at negotiating huge, flashy numbers for the horse while largely ignoring the cart. And the cart’s getting heavier and is going to need new wheels. The Jeff Nixon Report contains a lot of specific information about retiree benefits, as well as the controversial Dave Pear blog and Bruce Laird’s Fourth and Goal group. An article in the Washington Post 2 months ago by Sally Jenkins and Rick Maese, Do no harm: Who should bear the costs of retired NFL players’ medical bills? does an excellent job at looking at the type of situations that are going to become more frequent as players age and awareness of their injuries along with the evolution of health care solutions become more commonplace. Attorneys John Hogan and HOF Ron Mix are also very active in retired players issues.